It’s a pentagram of deliciousness! When I look at this mandala I see a plate of artfully arranged ginger snaps, and little pink frosted cookies, and some other cookies, as well as cookies broken up to make symmetrical non cookie shapes. Also, I see cream. Or possibly custard. It’s like a very upscale version of one of those mud cakes that are made out of chocolate pudding and crumbled Oreos with a few gummy worms sticking out. You serve it in a plastic bucket with a shovel. But this five sided display of decadence belongs on the dessert table of an autumn themed wedding banquet. 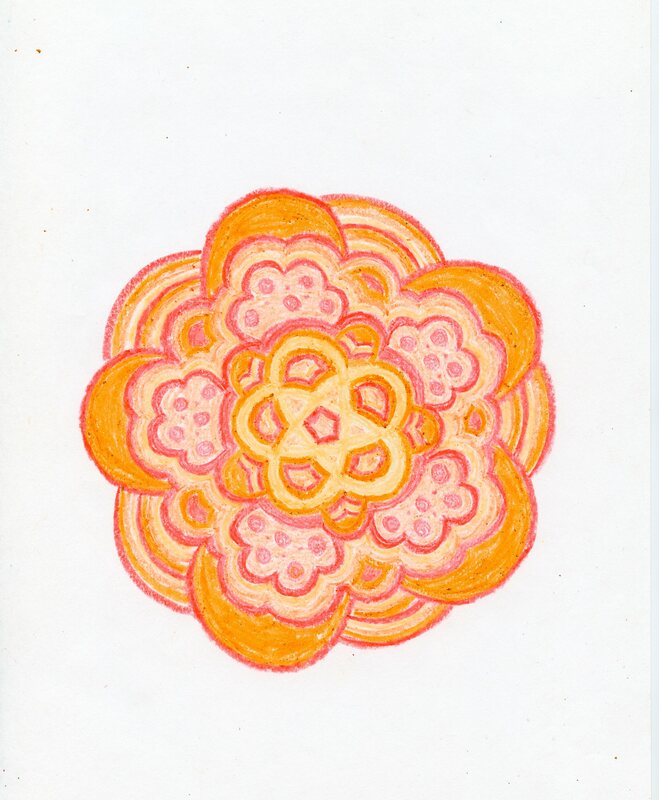 This entry was posted in mandalas and tagged crayon, crayons, earth tones, golden, mandala, mandalas on July 9, 2015 by littledragonblue.